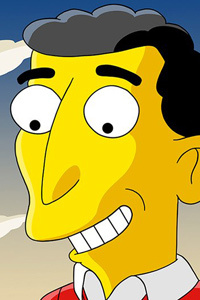 Mike Reiss is a former head writer For The Simpsons, a show he worked on as writer, producer, and show runner for 30 years since its debut in 1989. His new book "Springfield Confidential" shares behind-the-scenes stories about his work on the most iconic American cartoon family ever. Springfield Confidential coauthor Mathew Klickstein describers Reiss' 90-minute full-fledged and authorized presentation as "excellent, funny, and informative with some good juicy behind-the-scenes stories," followed by "a hilarious and honest Q&A with the audience." Mike will also be speaking at Innisfree Book Store & Cafe at noon for those interested. He'll also be at the Tattered Cover on Thursday April 11.